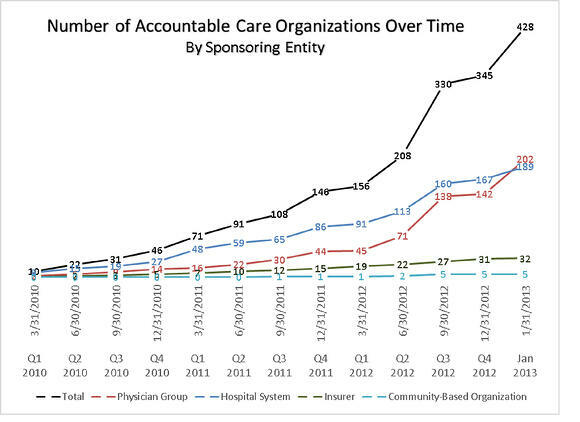 In 2012 and the beginning of 2013 ACOs have nearly tripled in number again, with growth coming among all types of sponsoring entities. There are 428 ACOs now existing in 49 states, as ACO growth has also continued apart from the Medicare program. On January 10, 2013 the Centers for Medicare & Medicaid Services (CMS) announced that 106Accountable Care Organizations (ACOs) will join the Medicare Shared Savings Program (MSSP). CMS reports that this brings the total number of MSSP ACOs to “more than 250” and that they cover up to 4 million Medicare beneficiaries. These new Medicare ACOs, though, only tell part of the accountable care story. ACO growth has also continued apart from the Medicare program with 428 total ACOs now existing in 49 states. Additionally, physician groups have overtaken hospital systems and have now become the largest backer of ACOs. Public sector. ACOs are health care entities intended to lower health care costs, improve quality outcomes and improve the experience of care. The premise of the ACO is that each of these results can be obtained by moving away from volume-driven fee-for-service based reimbursement toward payment models that reward care coordination and quality outcomes. While the ACO title is relatively new, the general accountable care framework was previously tested in the Medicare Physician Group Practice Demonstration (PGP), which was enacted in 2000 and ran, with ten participating organizations, from 2005-2010. After the PGP showed modest success, the Federal Government formally embraced this approach to delivering care through the passage of the Patient Protection and Affordable Care Act in 2010. The health reform law and subsequent regulations establish a framework where provider groups agree to care for a population of patients with the goal of reaching or surpassing predetermined cost and quality benchmarks. If the ACO manages to meet all the quality benchmarks and the population’s cost of care is below the established threshold, the ACO is able to share in the “savings” (the difference between the actual cost and benchmark cost). The first 32 Medicare ACOs, called “Pioneer ACOs” were announced in late 2011. In 2012, 27 shared savings ACOs were announced in April and 89 more (later decreased to 87 due to attrition) joined in July. Private sector. Simultaneous to the CMS-backed plan, private sector ACOs were also forming. Prior to the first Pioneers joining the CMS program, over 150 private sector ACOs were already operating or announced and that growth continued through 2012. Due to the legislative nature of the program, MSSP ACOs are structurally similar with common payment arrangements, while private ACOs have more flexibility in designing accountable care contracts. Many private sector ACOs do mimic the shared savings model of the MSSP, but others have moved to full or partial capitation models, bundled payments, retainer agreements, in-kind services and subsidies provided by payers, and pay-for-performance incentives. Similar to the MSSP, most of these arrangements also require some form of quality benchmarking to achieve full payment. Operating as a MSSP or working with private payers does not require an exclusivity agreement, and many ACOs simultaneously contract with private payers and CMS. Additionally, many state Medicaid programs, either directly through the state Medicaid office or via a Medicaid managed care plan, are actively negotiating accountable care agreements with providers. 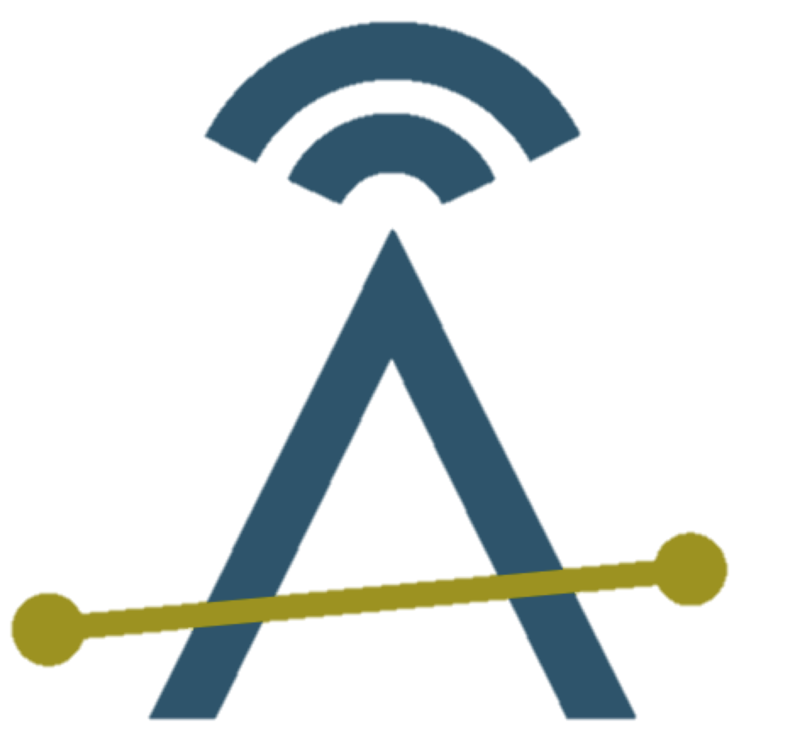 How Many ACOs Are There? I am part of a team that has been actively tracking and studying ACOs, both Medicare and private sector, since 2010. We identify ACOs from press reports, news articles, government announcements, news releases, conferences, personal and industry interviews, and other public records. We collect general information on ACOs from public sources and then interview ACOs to learn more about specific payment arrangements, approaches to coordinating care, and plans for the future. To date we have interviewed approximately 80 different ACOs and will continue to interview more. We include on our list of ACOs entities that self-identify as being an ACO, are part of the formal MSSP, or that mimic ACOs in objectives but have decided to not use the ACO name (such as Community Care Organizations). As of the end of January 2013, we have identified 428 different ACOs throughout the country. (See exhibit 1 below, click to enlarge.) In mapping ACO growth and dispersion, we identify hospitals that are owned by, or affiliated with, the ACO and use their location as a representation of the ACO’s geographic location, so a single ACO may exist in multiple states. If an ACO does not directly affiliate with hospitals, such as with some ACOs led by physician groups, then the office of the ACO was used to define its location. Three insurer-led ACOs with a national footprint were not mapped. The continued growth of the accountable care movement is apparent, as ACOs have spread to 49 states, Washington DC and Puerto Rico. The only state without an ACO is Delaware, though there have been discussions about forming an ACO in the state and ACOs in neighboring states may cover some Medicare patients there. California, Florida and Texas lead the nation with 46, 42 and 33 ACOs respectively. Generally, higher-population states also have higher numbers of ACOs, and extensive ACO growth has continued throughout the Midwest and on the West Coast. The least amount of growth has occurred in a band running from the Deep South, through the Great Plains and toward the Mountain West. State estimates provide insight into broad trends, but any potential competition among ACOs will occur at the market level. Hospital Referral Regions (HRRs) are geographic regions defined by the Dartmouth Institute for Health Policy and represent markets where patients are likely to be referred for tertiary care. (See exhibit 2 below, click to enlarge.) They represent a good proxy for areas where ACOs are most likely to compete for patients. ACOs are expanding their market coverage, as now only 64 (21 percent) of the 306 HRRs do not have an ACO present. Growth is still focused around population centers, particularly along the West Coast and the Northeast. In the past year ACO, growth has increased dramatically around Phoenix, Baltimore/Washington DC, Indianapolis, Omaha, and Portland Maine. Minneapolis, Central Ohio and the large Texas cities continue to have high numbers of ACOs. 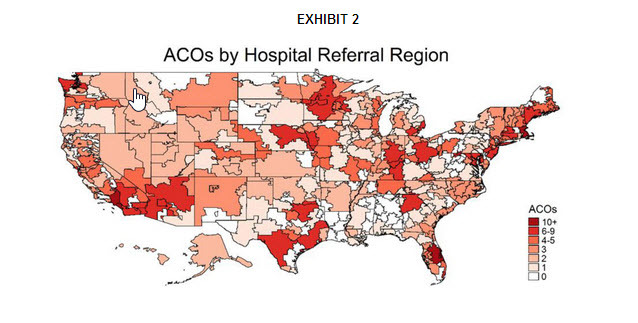 Boston and Los Angeles have the highest concentration of ACOs with 19 apiece, followed by Orlando with 13. Rural areas, particularly in the South and Appalachia, continue to have a paucity of ACO activity. A major part of the ACO design is that health care providers are more involved managing the health and care of a population with some level of attendant risk for the amount of care provided. That does not mean, though, that providers are the only people that are encouraging ACO growth. ACOs do require significant provider involvement, but multiple groups can provide the direction or leadership in the creation of the ACO. Specific entities that sponsor the ACO come in many types, but four general categories have emerged: hospital systems, physician groups, insurers and community-based organizations. (See exhibit 3 below, click to enlarge.) Community-based organizations are non-profit, non-medical entities that bring together the payers and providers that will contract to form the actual ACO. A year after the passage of the Affordable Care Act (first quarter 2011), hospital system-led ACOs outnumbered all other types at a rate of two to one, but there were still relatively few (71) ACOs. By the end of 2011, ACOs had doubled in number; hospitals still accounted for a majority of all ACOs, but physician groups and insurers saw faster relative growth. In 2012 and the beginning of 2013 ACOs have nearly tripled in number again, with growth coming among all types of sponsoring entities. Of the 282 new ACOs in this period, 158 (56 percent) are sponsored by physician groups, 103 (36.5 percent) by hospital systems, 17 by insurers (6 percent) and 4 by community-based organizations (1.5 percent). The initial movement of ACOs was led by hospital systems, but physician groups have now surpassed them as the most common sponsoring entity among all ACOs. Health insurers, though they may not appear as the sponsoring entity, continue to play a strong role in ACO formation with financial backing and a willingness to explore novel payment models. While physician group-led ACOs are most numerous, they are generally smaller than those run by hospitals. CMS reports that approximately half of all Medicare ACOs are physician-led organizations that serve fewer than 10,000 beneficiaries, meaning hospital-led ACOs in the MSSP must have, on average, at least twice as many patients as those led by physician groups to cover the estimated 4 million Medicare beneficiaries. Our research has found similar results among private sector ACOs, with hospital-led ACOs having, on average, considerably larger ACO populations than those led by physician groups. While physician groups now sponsor the majority of ACOs, hospital systems still oversee the larger volume of total ACO patients. Based on reviews of these ACOs and interviews with ACO leadership, there are some significant differences across ACO models in how they try to achieve savings and manage their patient population, particularly between those sponsored by hospital systems and physician groups. Physician groups have the general approach that ACOs save money by keeping a patient out of the hospital and seek to accomplish this by managing patient care in outpatient settings, such as by using patient-centered medical homes to coordinate care among specialists. Hospital system-led ACOs, meanwhile, focus on better managing patients once they have been admitted to a hospital by trying to coordinate care among departments and providers. Both types of entities are trying to break down artificial silos so that the appropriate providers will work together to treat the patient at the proper time, as well as follow best practices and more effectively monitor their patient population. Each of these approaches has merit. An ideal ACO will focus on keeping patients from entering a hospital and cost-effectively treating those that are admitted. A major challenge to achieving this lies in sharing governance for the ACO and responsibility for a patient population between organizations that are capable of efficiently managing patient care across the whole continuum of health care services. Within a level of care providers, are making great strides to improve care coordination, but between care levels (such as between inpatient and outpatient), there is less progress being made. If a large physician group or a hospital system can achieve savings by working alone, they have little incentive to partner with another provider group as equals to further improve patient care. The next step in the accountable care movement will require a recognition that levels and locations of care are artificial constructs and that patient care should instead be focused on treating the patient appropriately; whether the care is being reimbursed by Medicare Part A, B, D or a private payer should matter much less than focusing on connecting patients with the right provider in the right location for their illness acuity. This, though, will require large physician groups and hospital systems (and eventually post-acute and long term care providers) to work together and align their goals around patient care. This does not require wholesale integration of providers, but that may be the result in some markets. The accountable care movement is progressing rapidly, as many provider groups throughout the nation are officially adopting the title of ACO and are adopting some form of contract that encourages population management and cost minimization. While ACO growth will undoubtedly continue for at least the immediate future, it still represents a small minority of care delivered in the United States. Whether the numerous organizations that are cautiously observing ACOs from the side will ever take the plunge and adopt accountable care models will largely depend on the success of these early adopters. It’s much easier to adopt a new payment model when your peer institutions achieve success rather than end up millions in the red. ACOs are still a work in process and their eventual success or failure is still to be determined, but the accountable care movement’s influence on the American health care system is already being felt. In 2013, many ACOs will complete their first year under a risk-based ACO contract, and their early results will influence how payers, providers and policymakers experiment with future iterations of accountable care. If the results are good, then the ACO model may become the dominant form of health care in the United States over the next decade. If the results are negative, accountable care may never gain a permanent foothold in our delivery system. The health care system will be watching to see how the accountable care movement plays out.